What is telomere-length blood testing? Telomere-length blood testing accurately measures the length of your telomeres using tissue and blood-cell samples. Rock Creek Wellness uses a type of telomere technology from Life Length, which is known as Telomere Analysis Technology (TAT). After a sample of your blood has been collected, the sample is sent to a specialized lab and studied by scientists and physicians who use a technique known as telomeric quantitative FISH (Q-FISH) to measure the length of your telomeres. Telomeric Q-FISH stands for “Quantitative Fluorescence In Situ Hybridization,” and involves exposing your telomeres to a special fluorescent probe. The probe then returns data that scientists use to determine the length of your telomeres based on historical percentiles for other men and women in your age group. Why is Life Length’s Telomere Analysis Technology (TAT) so valuable? Life Length is currently the only company in the world that can offer a large-scale telomere analysis technology that measures the percentage of short telomeres in individual cells using both blood and tissue samples. Other companies measure the length of telomeres using techniques such as PCR (polymerase chain reaction), which are able to determine only the mean telomere length of a blood or tissue sample without also being able to measure the real cause of aging as caused by the percentage of short telomeres. Companies that measure mean telomere length are unable to identify any changes in the percentage of short telomeres related to aging, lifestyle, and disease. Additionally, Life Length offers a highly scalable technology that can process multiple blood and tissue samples within a short period of time. Telomeres are caps on the ends of chromosomes that maintain the quality and integrity of chromosomes and DNA. Telomeres are often compared to the plastic caps at the ends of shoelaces that protect the laces and prevent them from becoming unraveled. Telomeres protect our DNA from degrading, but lifestyle factors such as poor diet, lack of exercise, smoking, and poor health in general can affect our telomeres and can cause them to shorten and degrade prematurely. Why is telomere length important? 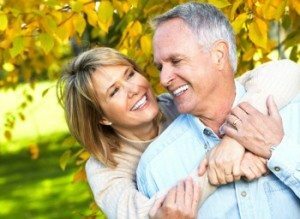 Wrinkles, sagging skin, gray hair and balding, cognitive decline, aching joints, loss of energy, and loss of sexual libido are just some of the health factors associated with aging. Some people begin to exhibit these types of traits when they approach middle-age, whereas others can experience signs of aging much earlier than expected in their late 20s or 30s, or much later in their 70s and 80s. The difference in aging that occurs from person to person depends largely on the length of a person’s telomeres. The shorter a person’s telomeres, the faster that particular person will begin to age, exhibit physical changes, and experience a decline in health. However, those with shortened telomeres can extend the length of their telomeres through factors related to healthy living, such as proper nutrition, regular exercise, and in some cases, specialized telomere treatment. Shortened telomeres can inhibit our body’s ability to regenerate tissue, fight disease, and bounce back from illness. Having shortened telomeres can increase the risk for cancer, Alzheimer’s disease, heart disease, and other life-threatening and life-altering conditions. *Determining the length of your telomeres can help make you aware of the steps and lifestyle changes you must take in order to lengthen your telomeres, improve your overall health, and prolong the aging process. How do I get my telomere length tested? Upon visiting our clinic, we will conduct telomere testing to verify the length of your telomeres and to determine whether you qualify for telomerase treatment. No special preparation is required for the blood test, and you will not be required to fast prior to visiting our clinic. *In most cases, we will receive your blood test results within one week; however, it could take as long as six weeks. What will happen if my telomere length is found to be short? *If the blood test results show that your telomeres are relatively short, then Rock Creek Wellness will work with you on becoming healthier, and will start you on treatment immediately so you can lengthen your telomeres and delay the aging process. 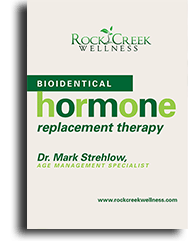 *Rock Creek Wellness offers a variety of therapies that can slow down the aging process, including products containing telomerase, which is an enzyme that can repair, lengthen, and maintain telomeres as you grow older. Ready to start looking and feeling your best? Contact Rock Creek Wellness today at 913-727-7700 to request a consultation!